In March 2014 i set out for Spain , well to be exact Catalan. This is my second home :). I went to some amazing places where i stood speechless for many seconds whilst i wondered at the incredible moment i was facing. 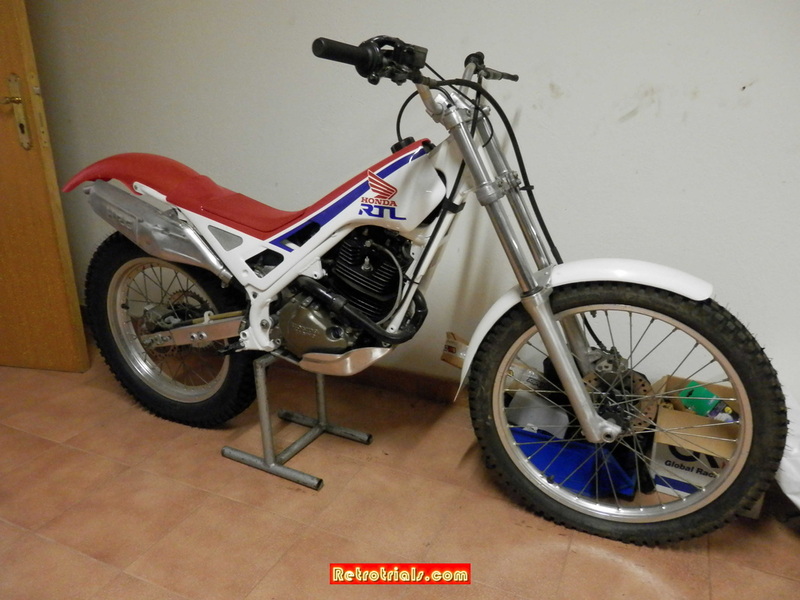 I have recorded all of this for the readers of Retrotrials so that they can enjoy the trial motorcycles of these great years. I also met some wonderful people . People who like all Catalan were wonderful , warm , friendly and honorable. They have always greeted me with open arms and a smile. It is their warmth and openness that has enabled me to create these articles and show you all of these photos. Many of the people that i met in Catalunia i was meeting for the first time , however i was very pleased to be visiting once again my friend Jordi Tarres at his home in Rellinars. 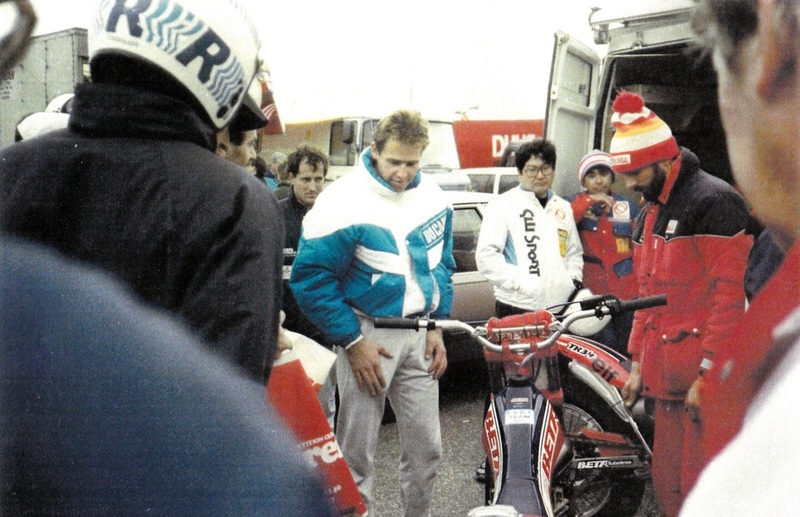 Throughout his career the 7 times World Champion has been renowned to his fans around the World as being a very approachable and friendly rider of the trial who always wore a smile on his face. Jordi was very serious in the trial and of course you need to be this ,to be successful but Jordi always was a great smiler. This friendly approach to life won him many fans , but there was more. Jordi's incredible riding , his style , leg waving , helmet peak nudging , balance and the mystique of being part of a foreign and secret factory team with his glamorous clothing decorated with brightly coloured sponsored also won him fans and admirers around the World . There was something more as well........ It was the machines. Jordi Tarres rode the machines that led the industry. They were fresh industry leading designs. They were awe inspiring. People arrived at the trials and flocked around the Jordi Tarres camp and stood open mouthed and in awe at the great marvels of technology in front of them. They were staring at something they could not themselves aquire. For most people .....that alone makes that thing sooooo desirable. Here i am on the way to Rellinars. The famous multi peaked mountain and icon of Barcelona Montserrat in the distance. Here im getting closer. I am now off the main roads and winding my way along the small twisting ,hill hugging country lanes towards the Mecca of trial. I had arrived . I parked my car and entered my usual way down to Jordi's front door. Knock knock knock. No answer . Hmmmmm. I wasnt worried because only the day before we had been in contact with each other. I knocked again and no answer. No car was on the drive , only the childrens Monty's. Then i heard a car pull up outside the boundary of the property. A lady walked down the pathway and we said hello. She didnt speak any English but i managed to ascertain that she was Jordi's cleaner. I explained to her in my pigeon Catalan that i was here to see Jordi and she called him but he didnt answer. She let herself in and was heard shouting "Jordi , Jordi". She then came back out and explained that perhaps Jordi was with his friend nearby. Then , as if by magic , right on the nose of 10 am he appeared in his car. Jordi explained that his dog had been ill and that he had just taken it to the vets. He lifted iyut of the car and it went running around. Jordi has had this dog for 6 years. I dont know the breed but its quite unusual. Its a medium size stocky built with short very wiry beige hair. Jordi pulled his car down into the garage below and we them said hello. 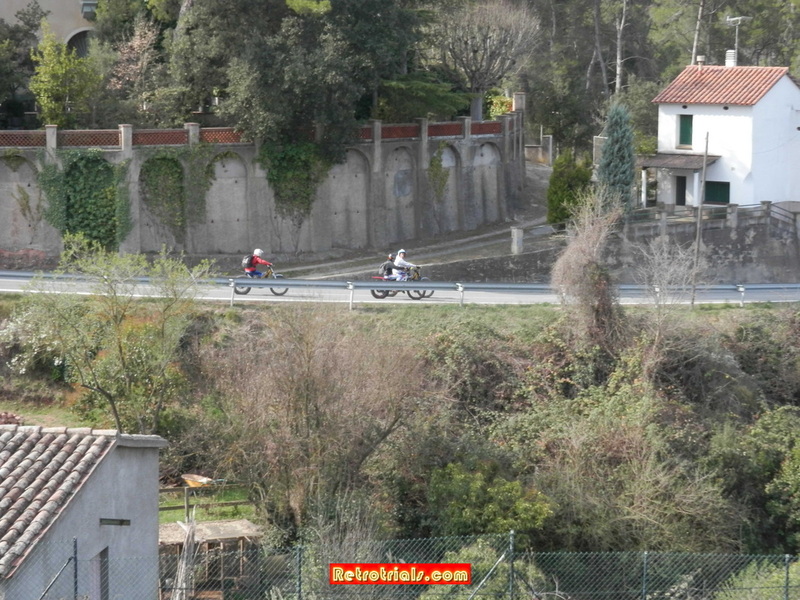 As he did I heard the sound of trial bikes coming down the road and looked over the hillside. I'd expected it was Pol and sure enough it was Pol , out with two buddies for practice. So after Pol had dissapeared , Jordi explained to me that he had passed me on my way into Rellinars. I explained to Jordi the purpose of my visit in a bit more detail and we then went into his huge basement garage. On my previous visit here in 2012 , i think i forgot to photo this beauty. 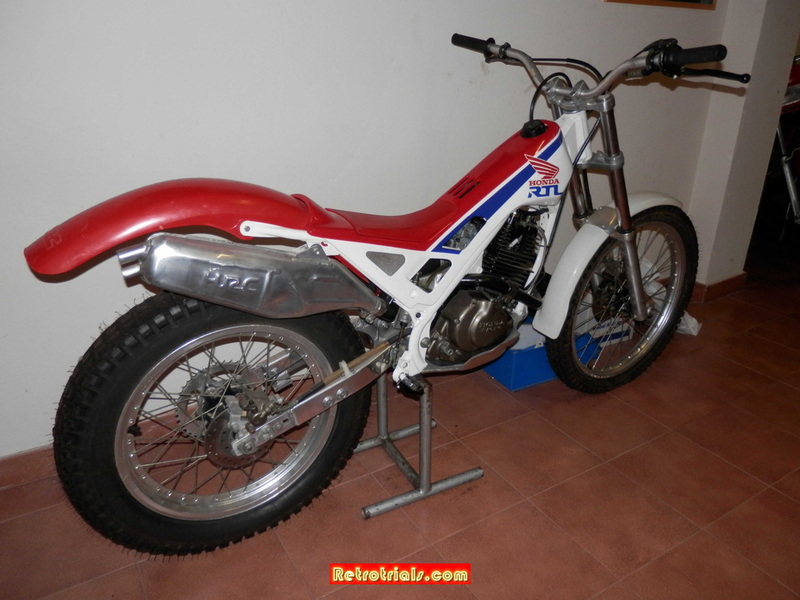 im not forgetting this time, so here are the photos of Jordi's Honda. Now ...be honest....you'd never have expected Jordi to have a Honda would you. This photo was taken just after i entered the room. 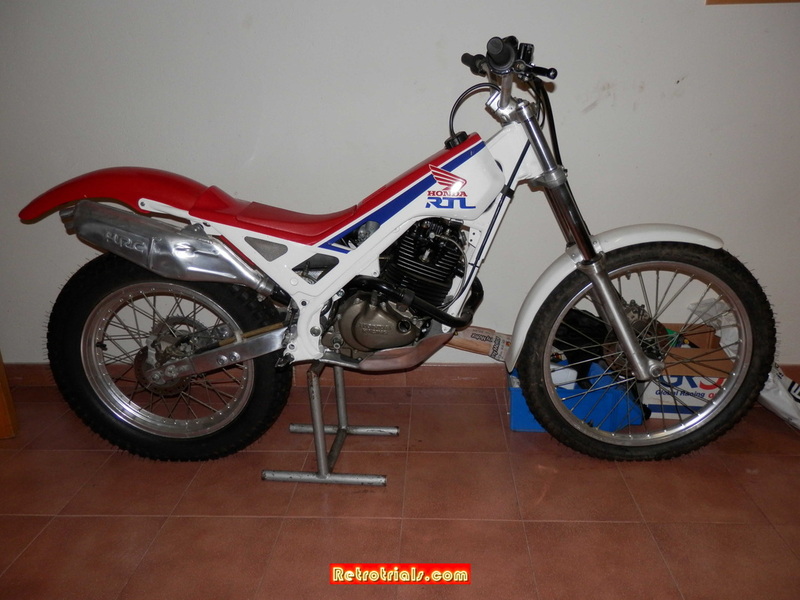 In front of you , you can see Jordi's World Championship winning 1989 Beta Prototype. 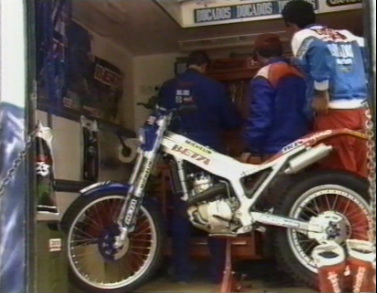 Jordi won 14 straight World trials on this bike . This is one of two protos i believe. The other is still in the Beta factory . 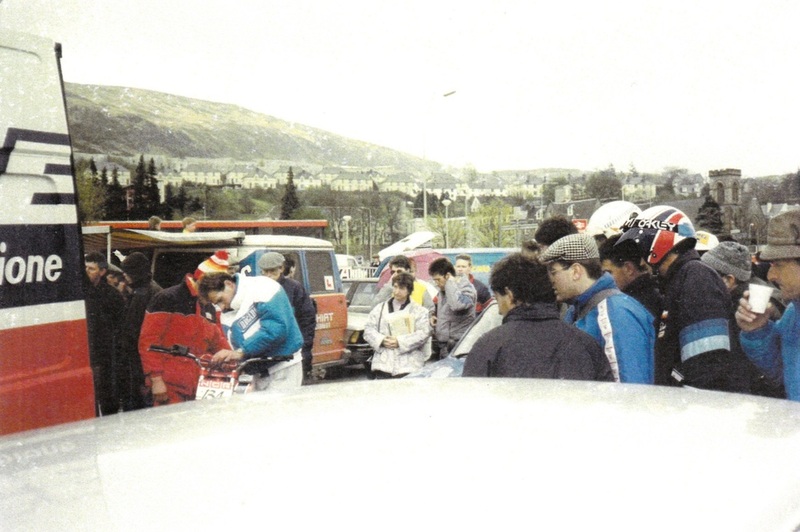 Beyond that is Jordi's 1993 Beta Gara , but we all know that during this season Jordi was riding GasGas for the first time. 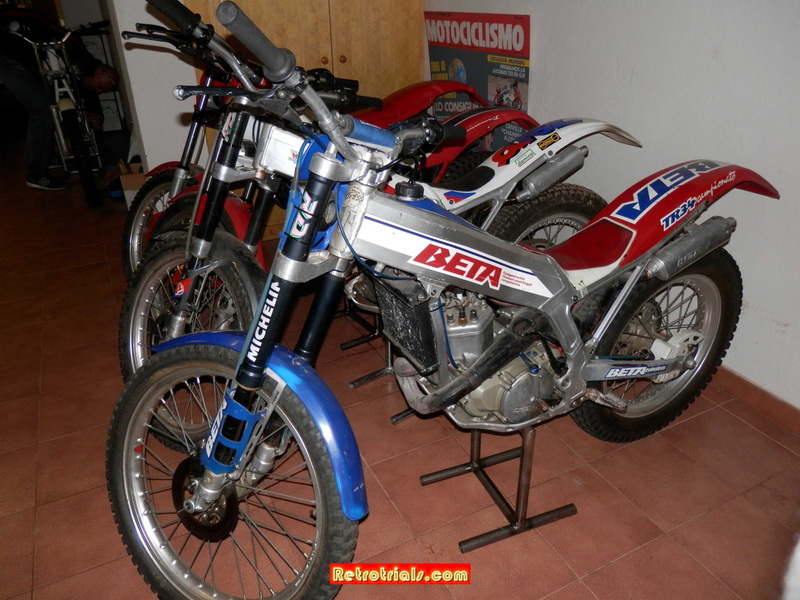 Then , there is Jordi 1987 World Championship winning Beta TR34 machines.